The power was out. The lights wouldn't turn on. The water heater wouldn't heat. Kettle water filled up the sink and I put my baby in the bubbles for a needed bath. 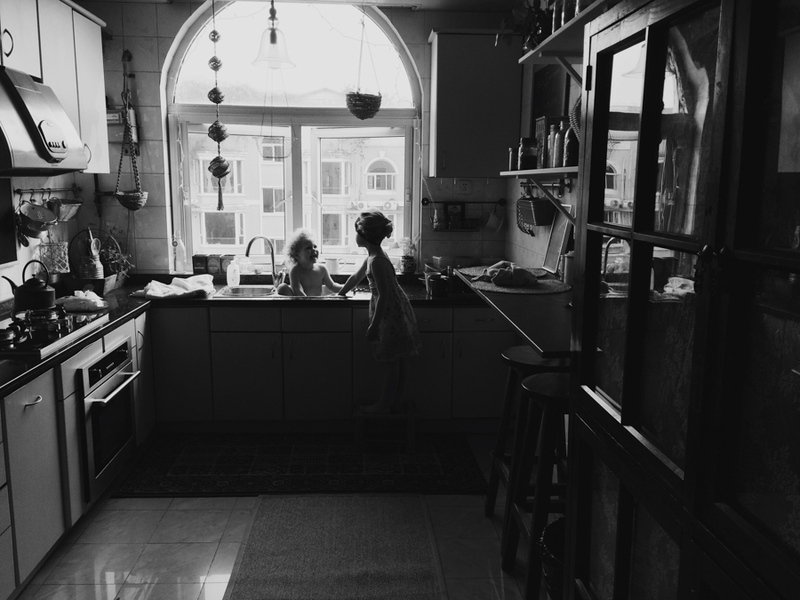 Her big sister pulled up a stool and immediately the giggles and splashing began. This scene instantly brought me back thirty years to the side by side days with my little sister. I remember as a kid after a big storm we would loose all power and sometimes water, leaving my sister and I giddy, running around completely delighted at the feel of now "camping" in our home with candles for light and eating cupboard-food near the wood stove. These are the moments, of my family and the world around us, that I want to record . I want to communicate the wonder and imagination of childhood, the times and places that impact and really mark us. The special connection between two sisters, just a moment in a day, in a life, that make up their stories. Traveling and small city adventures with my kids are one of our favorite ways spend time together. 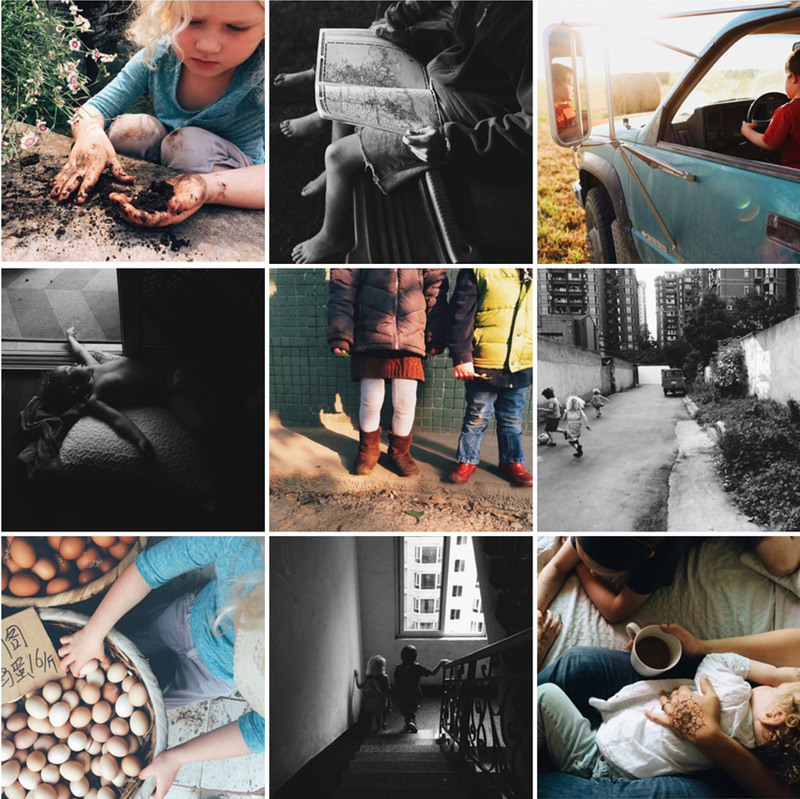 One of the best ways to document these narratives is walking around and seeing the big world through their eyes. I usually set out with my Canon on days like this, but at home there are so many fleeting moments that I would otherwise miss if I didn't have my camera on my phone to grab and take the shot quick before it vanishes. ~ A photograph has the power to tell a story and evoke nostalgic memories and emotions. This is my central reason and vision for taking a photo: to see the world around and create art through sharing the story. The very first thought is always how I want to communicate and document the story before me. ..what angle or perspective do I want to shoot at, or what details do I want to capture? These will help decide how to convey the narrative. ~ Light. It can be dramatic, moody, and delicate. I look for places that provide natural lighting, but I've learned over time to not be afraid to experiment in darker spaces. I have found that lack of light can often offer the most intimate feel to a frame. ~Composition. Look for any distractions in the way , or the space around your subjects. Is there time to be unique? Is there time to move and get an artistic shot before the moment is over? Often times there isn't, which is why I love imperfect shots too. It means genuine life is happening. ~Editing. My personal style is more of a clean, simple edit. I exclusively use VSCOcam to edit and size my iPhone photos. You can see more of Josey's beautiful iphone photography on her instagram feed.